LoveNokia | Latest News and Information about Nokia Mobile: Indestructible | Nokia 6 Durability | Scratch Test, Burn Test and Bend Test!!! Indestructible | Nokia 6 Durability | Scratch Test, Burn Test and Bend Test!!! Nokia is back in smartphones and the whole world has gone gaga over it. Nokia phones are known for their robust designs, durability and great build quality. It was obvious, as soon as new Nokia phones will come to market, they will be put to various torture tests to check their durability and build quality. 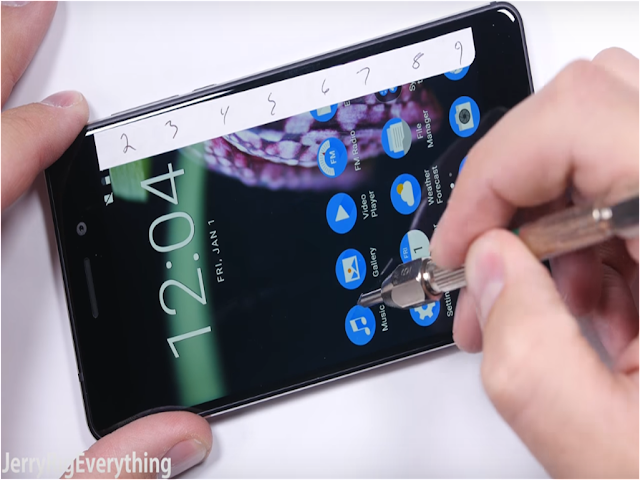 And here we have it, JerryRigEverything on YouTube has done three durability tests on Nokia 6.